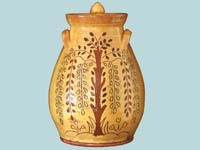 Gariné Arakelian has a fascination with the sgraffito and slip-trailing techniques of decorating redware pottery which shows in her work. 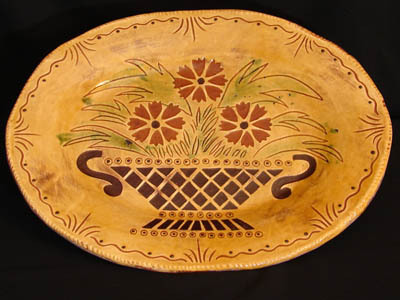 She sells it under the business name Kulina Folk Art. 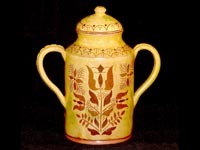 Her extensive research enables her to identify many of the classic American sgraffito potters by recognizing important techniques and style variations that many take for granted. 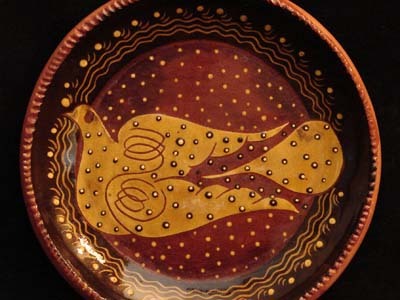 Her dedication to utilizing slips that turn gold under lead-free glaze and stay true to color constantly evolves her wares into exciting new areas. 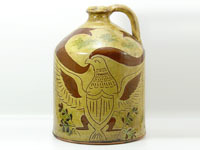 Her collaborations with her husband, Rick Hamelin of Pied Potter Hamelin, include decorating his thrown wares and creating the new website as a resource for forums and collections about American redware. 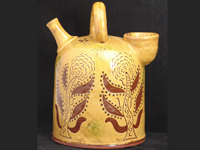 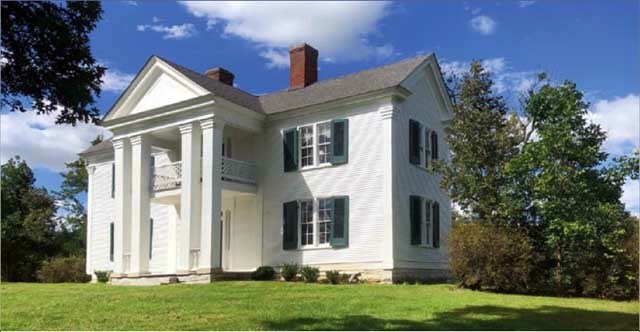 When one of her patrons commented, “Thank you for sharing your art with us as you have become part of our home.” she was inspired not only to continue making her beautiful wares but to help others learn more about redware’s rich history.